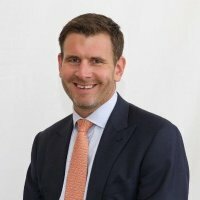 Mirae Asset Global Investments, the big Korean-owned global funds management and property group, has opened an Australian office for its investment firm, recruiting a former institutional business development manager at AMP Capital, Chris Wildman, to head business development for the operation. Mirae Asset is a diversified manager across the major asset classes but is particularly well known in Asian and emerging market equities. It also has an ETF and hedge fund range and a private equity offering. It has about US$75 billion under management. Headquartered in Seoul, it has offices in the US, Canada, UK, Hong Kong, South America, India and Taiwan as well as Sydney. In its property business, it owns Sydney’s five-star Four Season’s Hotel among other trophy assets. Wildman, who left AMP Capital in September to start work on the Mirae Asset Australia launch, most recently spent about eight years with that firm, starting as an account manager for its affiliate alliances and then becoming a senior business development executive. He also worked for AMP prior to that as a private client manager, for three years, but left for a short stint in London as a marketing consultant at Legal & General. Mirae will launch its capabilities for the Australian market next month, focusing initially on emerging market and Asian equities. A recent client note from the firm emphasised the long-term prospects in Asia, including China, with a focus on “resilient quality businesses”. It believes India is the region’s most attractive market in the shorter term, and has a low exposure to the slowing Chinese economy. In terms of the firm’s style, he said: “We seek established or emerging sector leaders at the right price. All our potential investments are rated by a ‘competitive scorecard’, which is Mirae Asset’s proprietary measure of shifting market dynamics, a company’s track record and sustainability of returns. Stocks must be top quartile performers to make it through to selection. Analysis is deliberately tight and stock-specific. Macro is just noise 80 per cent of the time. Only when there is a step-change do we take top-down economic factors into approach.